Is your child a water baby? Do they love splashing around more than play time? Children love playing amongst the water and the bubbles. We’ve got water play toys and kids beach toys so your little rugrats will love the tub or beach even more. Browse our huge range of water play toys for the bathtub, including plane and helicopter bath blocks, coast guard blocks, cooking blocks, tug boats, castle sets, rubber ducks, seal toys, dragon toys, paper-powered boats, and donuts floaties. You won’t find these types of water toys anywhere else. For example, our bath block floating cooking set. Unpack all of the pots and pans, and watch as your kid cooks up a storm inside the bath. 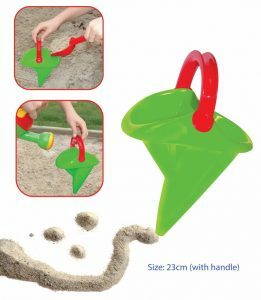 This toy is also perfect for outdoor play, so there’s more fun, for less. Fancy a trip to the beach? Keep your kid’s occupied instead of asking for an ice cream. 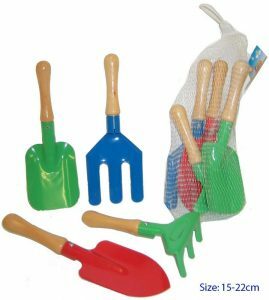 Instead, bring kid’s water toys such as mini bulldozers, tool sets, sand diggers, sand buckets, sand and water mills, sand sieves, hand sand claws. Or bring the beach home with the ever-popular no-mess, mouldable kinetic sand (which the kids absolutely love). We even sell pool toys, including giant inflatable donuts, baby flamingos and swans, pineapples, watermelons, and bunch-o balloons. All of our products are safe and won’t degrade if in the water for too long. Our bath blocks are made from phthalate free foam, which is mildew and bacteria resistant. If you’re looking for open-ended possibilities for bath time, shop for your water play toys from us. All of our products are uniquely designed, not a chain store mimic. Be sure to check out our new arrivals and great sales. We offer flat-rate delivery prices, Australia wide. If you spend over $175, postage is free. Buying your kid’s toys and gifts has never been easier. Make use of their next nap time and enjoy shopping online.